Intellectus Law, Lucknow takes privilege in announcing ‘BEGINNER’S PROGRAM IN CORPORATE LAWS & REGULATION’ scheduled to commence from 22 – 28 JANUARY, 2018 and will be conducted at Corporate Office of Intellectus Law, Lucknow (2nd Floor, Basant Tower, Near Singar Nagar Metro Station, Alambagh, Lucknow- 226005). This planned program is expected to lay foundation learning of corporate law, corporate governance and commercial regulation amongst the students willing to take up corporate law as a career option in their life. The uniquely crafted course is being presented with an idea to let the students explore various opportunities in corporate law ranging from government to semi-government organisations, independent regulators, self-regulatory organisations, associations of commercial relevance etc. This flagship program of Intellectus Law, Lucknow is a mark of beginning of trainings @ Intellectus Law and is expected to be extremely beneficial to the students in general and students of lucknow in Particular. The program is expected to reveal situations where a corporate lawyer actually invests most of his intellect and offers technical problems for the law students to get across. The program is being engineered in such a way that students need not to rush for corporate internships with a desperate attitude of learning the law in practice. The program tends to offer even more than what an internship can. The ‘Beginner’s Program in Corporate Law’ is expected to offer structural and functional foundations of commercial law which takes specific relevance and importance for the students of integrated law degree program. It is a perfect combination of ‘Internship Experiences’ that a student might have taken across all of his corporate internships as a student and encompasses various interesting lessons for the students who are yet to explore what an in-house counsel and a corporate counsel actually does for the protection of interests of the client in day to day life. The students enrolling for the beginner’s program would ONLY be ELIGIBLE for the intermediate and Advanced Levels of study to be offered in due course of time. It is to keep corroboration of the concepts and foundations well in the minds of students. The students getting enrolled in the beginner’s program will also be assigned tasks and challenges to accomplish after completion of the beginner’s program and initiation of the intermediate’s program and so on. The students willing to join beginner’s program in corporate laws and regulation must be enrolled in a regular course of law (03 Years LLB / 05 Years Integrated Course of Law) at any recognized University/ College in India. Apart from the above mentioned eligibility, it is desired from the applicant to carry BARE-ACTS of all subjects indicated in the course curriculum of the program. The students will be given instructions subject wise that will cover around 40% of the substantive law & 60% of the procedural law. Practical assignments during and after the course, will be assigned and remedial or corrective instructions will be given to ensure understanding amongst the students. The program is being offered in phase-wise manner and therefore independent enrollments need to be conducted at each stage of the course. Each student will be assigned a unique ID at the time of successful enrollment in the beginner’s program and such student will be eligible to register for the intermediate program on successful completion of the beginner’s program which are scheduled at offer in the later stages. As its flagship launch, Intellectus Law would be able to accommodate 30 STUDENTS for the program. The seats are un-reserved and will be booked on a first come & first serve basis. Intellectus Law, Lucknow is a registered (Reg. No. 203616/2017) partnership organization and the Corporate Office of Intellectus Law is registered with Labour Department, Government of UP (Reg. No. UPSA28713658) and with Government of India (LIN No: 1673032817). Intellectus Law is engaged in primarily rendering exceptional legal support services to its clients under 06 broad categories of activities. Intellectus Foundation, Lucknow (A Society Registered under Registration of Societies Act, 1956) is engaged in providing quality training to selected group of individuals in 04 outstandingly engineered training courses crafted by learned professionals and academicians. 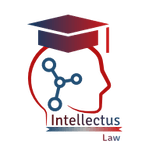 Intellectus Law is also engaged in providing preparation modules for PCS-J, IAS (Law), APO, CBI-PO and other similar competitive examinations which are moderated by experienced faculties from all over India. Intellectus Law, Lucknow is continuously engaged in content engineering for providing the best of its capability to students, clients and the community.